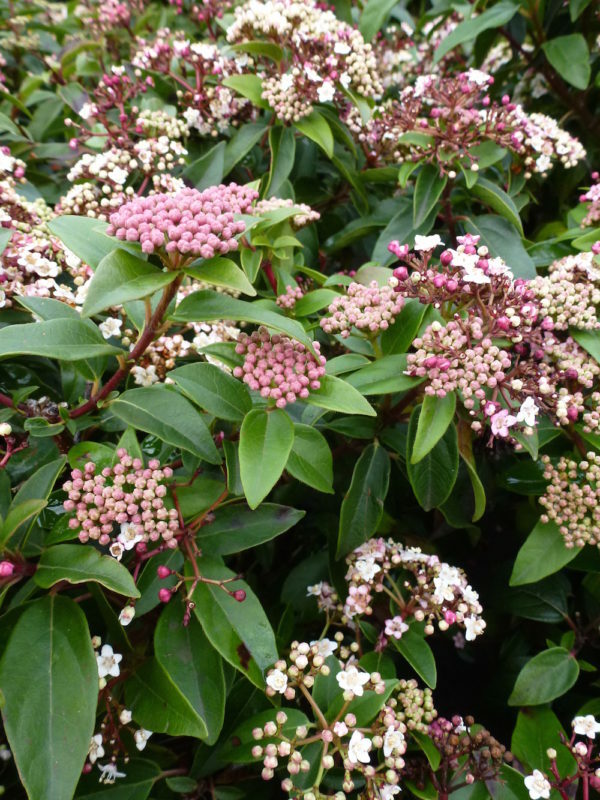 This is a useful evergreen shrub for winter interest in the garden or borders and is grown for its dense dark green foliage and flowers which appear over a long period from late winter to spring. 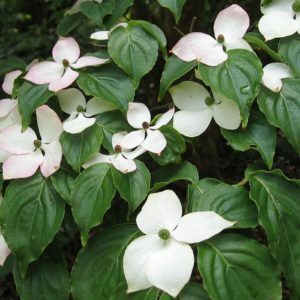 The pink flower buds open to tiny, star-shaped white flowers, carried in flattened heads and these are followed by small dark blue-black fruits. 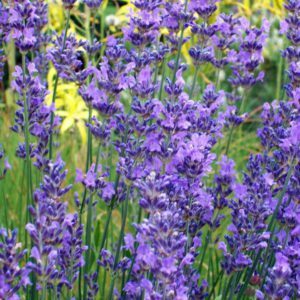 It can also be grown as an informal hedge and is shade-tolerant. 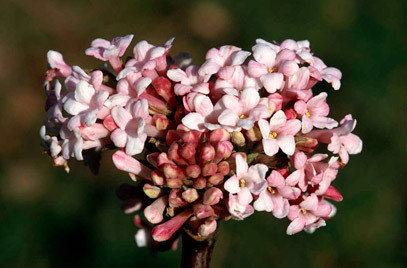 Tags: evergreen shrub, tinus Eve Price, Viburnum.